Select a country - Jul 23, 2014 - ADSoftware is pleased to announce the successful launch of its Airpack Fleet Management System and Logistics Solution to Nova Airways, Sudan's largest carrier. In an industry that demands constant compliance with regulations, Sudanese carrier Nova Airways was looking for a system that could help them to stay ahead of changing requirements by anticipating any modifications required by regulatory texts. The AirPack solution proved to have the answer, with two specific modules inside the maintenance software which are dedicated to airworthiness management, regulatory compliance and fleet reliability. AirTime would enable the engineering department to coordinate the compliance of the aircraft with the required maintenance programs, applicable airworthiness directives, service bulletins, log books, planning, mechanics and shop activity. AirStat presented a next-generation reliability and statistics reporting tool for generating key elements of the airline's performance. It also allowed the airline to share these elements with the local civil aviation authorities and aircraft manufacturers. Next-generation analytics, such as AirStat, are leading to broader perspectives in terms of aircraft maintenance, emphasizing the use of predictive maintenance techniques in addition to traditional preventive measures. Nova Airways is currently the largest Sudanese airline operating a fleet of 3 CRJ200, 1 CRJ200LR and 1 B737-500. While the Sudan Civil Aviation Authority (SCAA) has been relentlessly pushing for a safer airspace, Nova Airways has been working hard to remain fully compliant with all its local aviation standards. Now the airline has moved another step ahead and has furnished its maintenance department with ADSoftware's maintenance ERP suite. The package selected comprises of five AirPack modules with the main focus being on airworthiness management, supply chain and fleet reliability in accordance with EASA and FAA standards. On site and B2B training has been provided to Nova Airways to facilitate a smooth production phase and allow users working on the system to gain confidence and operate efficiently in their day to day work. "Generally speaking the training provided by ADSoftware was top notch and I can confidently say that the AirTime module has enabled us to control the airworthiness part of our maintenance with great success", says Demelash Alemayehu, Maintenance Director at Nova Airways. Commenting on the successful launch of the AirPack solution at Nova Airways, the CEO of ADSoftware Fred Ulrich said, "Airworthiness follow-up is a must have requirement for all operators who are eventually accountable to their authorities. Nova Airways has stepped up to this responsibility by implementing this system and must be commended for doing this". ADSoftware together with Hi-Fly Marketing, its African local sales office, have worked hand-in-hand on this project to ensure Nova Airways receives the best support and understanding possible. This collaboration between the French aviation software developer and publisher and the South African based aviation services firm has been successfully running for 6 years. Nova Airways, established in 2005, is a privately-owned Sudanese airline based at Khartoum International Airport. The airline flies passengers and cargo in addition to operating a charter service for use by oil companies. NOVA Airways is the main operator for oil companies in Sudan (GNPOC, E&P and Petro Dar) with fixed wing and rotary wing (PUMA, BELL-212, and BELL-412). It currently operates out of its base in Khartoum to El Fasher, Nyala, Port Sudan and recently to Juba South Sudan and Asmara in Eretria. The airline's strategy is based on safety, high aircraft utilization, low fare/ no frills, streamline operations, lean distribution system and partnership with other carriers from all over the world. NOVA is aiming at expanding its domestic network to cover all parts of Sudan and regional areas including, Gulf, Middle East, Africa and Europe. All sales offices are managed by qualified personnel and equipped with Amadeus for reservations and bookings. NOVA Airways has it main sales office at Gamhouria Street in Khartoum and four other offices in El Fasher, Nyala, Port Sudan and Juba. The Nova Airways group includes Falcon Travel & Tours Co. Ltd (FAS) for sales and booking and Tourism package organizing, Nova BNI Catering Services, Falcon Airport System for Handling services, Nova Technology Company for IT services and Nova Academic for training. 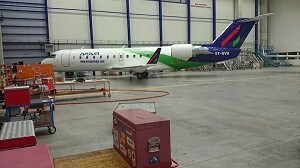 Visit http://www.Novaairways.com for more information.